Dr Bader is an internationally renowned specialist obstetrician gynecologist and cosmetic gynaecologist who pioneered cosmetic vaginal surgery in Europe. 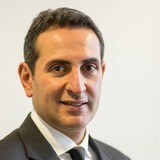 Following training and Fellowships in Los Angeles and New Jersey, Dr Bader returned to Europe and became the first doctor in the continent to practice exclusively cosmetic vaginal surgery. Dr Bader is a member of the American Academy of Cosmetic Surgery (AACS), the American Academy of Cosmetic Gynaecologists (AAOCG), and the International Society of Cosmetogynecology (ISG). Dr Bader is the founder and director of Bader Medical Institute of London.